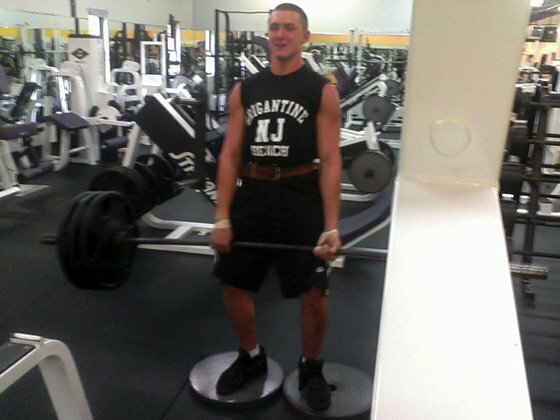 Colton's life changed dramatically when his father, who was an avid lifter, passed away in 2011. Now Colton lifts with extreme intensity in honor of his dad. My father, Scott Reitzes, competed many times throughout the 80s, but stopped when I was born. However, my father kept going to the gym and we followed the IFBB closely. When my sister and I got older, he decided it was time for him to compete again. 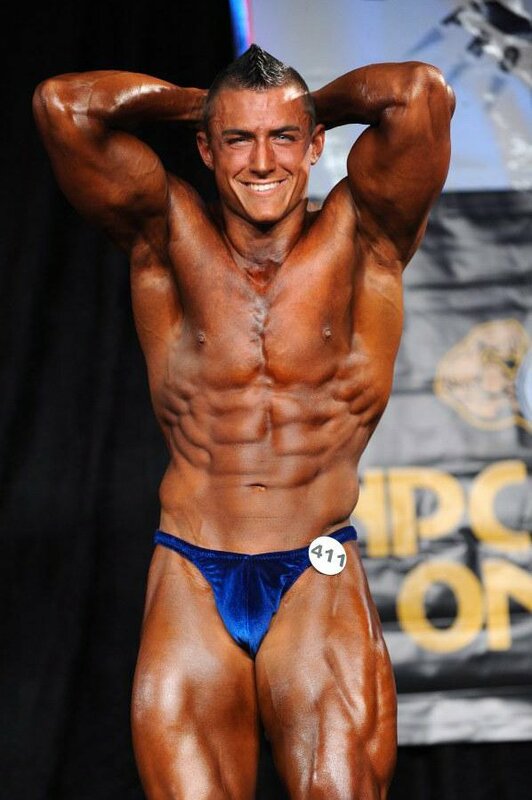 He competed from 2004-2010 in about a dozen shows in New York and New Jersey. I always went to the gym with him on weekends and we trained legs. When I started playing football in high school we trained together regularly. When my father committed suicide in August of 2011, I was lost. I wasn't only upset about losing a parent at an important time in my life; I was distraught because he was my best friend. After doing some soul-searching, I was able to find myself in the gym—just as my father had when my grandfather took his life. I relieved all of my emotions in the gym under heavy weight. The gym became my therapy, my shrink, and my drug. I became addicted to training and eating like a bodybuilder. During the summer of 2012, I competed in my first two contests and did well in both. The bodybuilding world is the place where I can connect best with my dad. My determination comes from my extremely competitive personality. I always had a high motor and gave it 100 percent during football. After high school, I found bodybuilding and was fascinated that I relied solely on myself. It's a one-man sport with help from maybe one coach and a training partner, but in the end your results are solely yours. I'm far from a guru, but I like to think I know more than the average Joe. All of my knowledge comes from experience and many Muscular Development and Flex magazines. Those magazines inspired me to learn more about the human body. I want to find the healthiest way to live, while looking as good as possible. Everyone has days when they feel sluggish or unmotivated to hit the gym. On those days, I thought about everything that angered me, from my father's passing to how hard my family works to stay afloat. I also turn to my training partners, Joey and Jimmy, to push and remind me that I need to work hard every day and that there is no time for rest. I plan on taking the sport as far as I can. I will continue training and competing and hopefully one day I can make a profit by doing what I love. But until then, I will just continue training and eating as much as humanly possible. The absolute most important tip is to listen to your body. You know your body better than anyone and you know when to step on the gas and when to back off. Only you can differentiate pain from injury. Pain is good, but many people feel pain and immediately relate it to injury. This slows your growth. Connect your mind to your body. My favorite professional bodybuilder of all time is Frank Zane. Frank defied the odds and won multiple Mr. Olympia titles weighing well under 200 pounds. He won based on aesthetics. I can relate to this because I will never be the biggest man onstage, but the sport should not be judged only on size and mass. I feel that judges should count aesthetics more because it appeals to all audiences, not just the diehard bodybuilding fans. My other favorite bodybuilder is Kai Greene because of his philosophy and mentality. He is outspoken, but soft-spoken. Bodybuilding.com helped me find great deals on supplements. Everyone striving to achieve their fitness goals can appreciate discounts on supplements because, unfortunately, it costs more to be healthy than unhealthy.